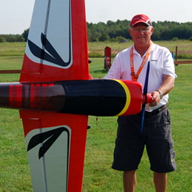 Modelling interests: Giant Scale, Aerobatics, IMAC, sport 3D flying. 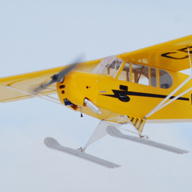 Current Favourite Model: Pilot Extra 300 88" aerobat. Awesome! Other interests: Golf, Summers at the lake, Winters in Fla.
Bio: Grew up in a house on the edge of the Edmonton Municipal airport. I spent my childhood summers all over that airport, in and out of hangars, the local flying club, etc. We made thorough pests of ourselves! Saw a guy at the local schoolyard flying a small balsa control line plane with a Cox 0.49 engine, and I was hooked. Started building and flying c/l mostly, with a bit of rubber free flight and towline glider. Balsa, tissue, Ambroid glue and dope, methanol and nitro-benzene, castor oil, ether, etc. etc.! I should be dead by now! 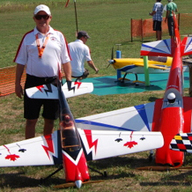 After college, moved to Ottawa in 1967 for work and joined a small but keen group of c/l flyers locally, and started flying MAAC precision Stunt, fast and slow combat, Rat racing and Shoestring racing. In the day we had a great club with an active junior training program. Many of those young recruits are still around the zone, now very senior R/C pilots. Those were fun days until the noise problems of an in-city flying location cost us field after field and it all went to hell. A real shame. After family and career, I re-discovered the sport, and joined Stetsons in 2009. 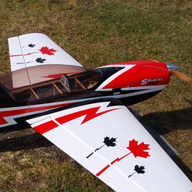 Never having tried the 'elite' R/C game before, this was a big eye-opener for an old retread like me, but with a huge dose of good luck and a winter on the sim, I was able to get airborne and learn to do circuits and bumps well enough to be given my wings. 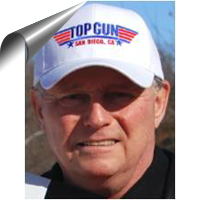 Five wonderful years later, I have discovered the ecstasy of aerobatic flying and am now very busy trying to learn more as well as pass on the little I know to others who choose to join in the fun with our aerobatics gang. Stetsons have become my second home all summer long, and I am blessed to have made a whole bunch of new 'best friends forever' with this great club. Thanks Stetsons! You are a great group!